Texas is known for a couple of things: finger-licking barbecue, opulent high-school football stadiums, and urban sprawl. 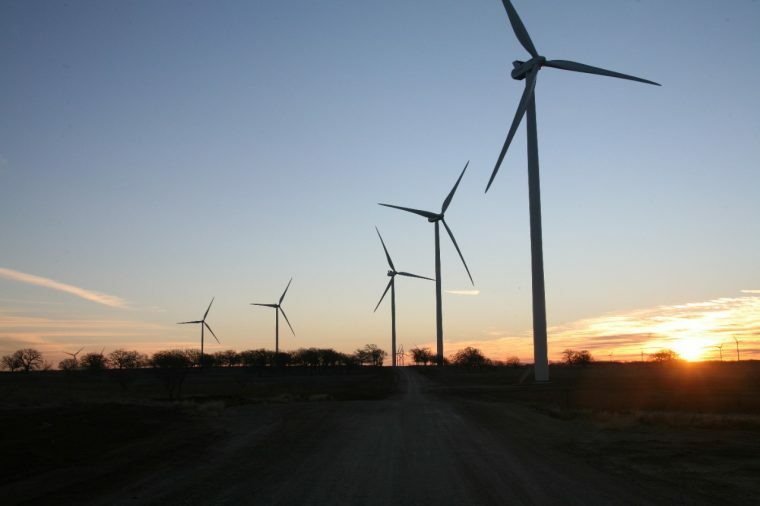 General Motors has another item high on its list of Texan staples—renewable energy from windmills, which allows the company to fuel some of its facilities the green way. The purchase of 50 megawatts of power is enough to meet the electricity needs of 16 of its US facilities, including three Alamo State outposts. GM’s purchase from a 150-megawatt wind farm called Cactus Flats will raise GM’s proportion of renewable energy in use to 6% of its total global energy consumption by the time the contract goes into effect in 2018. In addition to an expected 114 megawatts of total wind power, GM hosts 24 solar installations around the world, and is the top automotive user of solar energy in the US, according to a report released this month by the Solar Energy Industries Association. Automakers in general continue to be champions of renewable energy improvements, which not only are (obviously) good for the environment but in many cases can help bottom lines by powering manufacturing plants more cleanly. Now if we can cut out the absurd financial inefficiencies of these ridiculous football stadium rat races in suburban Dallas, Texas could fully cement its reputation as a paragon of cooler heads and climate initiatives.